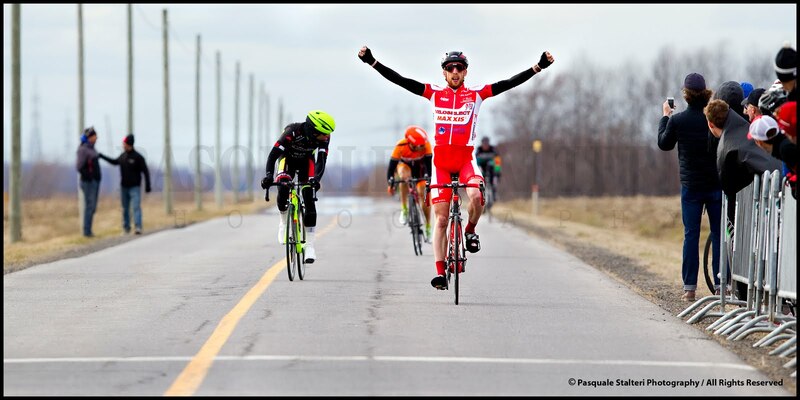 Shawn Turcotte (Chateauguay QC)- Winner, final stage #7 Tour de Montergie Criterium. James Sabourin (Laval QC)- 2nd Stage 3 Cyclistes Mardis Lachine Jean Coutu Race Series. Wil Etherington (Kingston ON)- brings European experience to the team. Francis Bertrand (Quebec QC)- a top ten finisher in the Prestigious Tour de Relieve Stage Race in Rimouski Quebec. MAXXIS Tires is the official tire of the EQUIPE VELOSELECT CYCLING TEAM. IGA Primeau and Fils is supplying the team with assorted varieties of food for our training camp and is the title sponsor of the IGA GP Ste Martine. 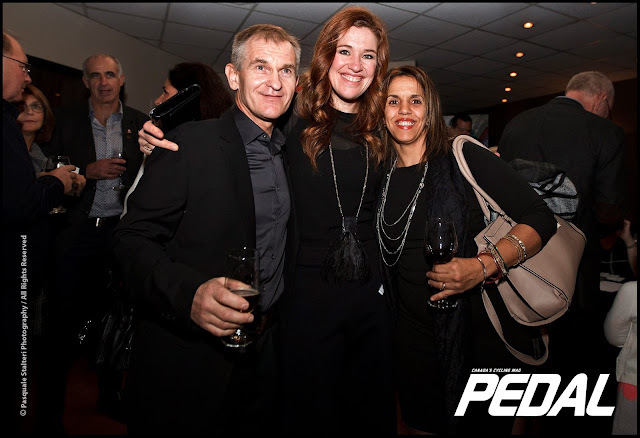 PRUD'HOMME INC for helping with our race and for supporting the team from the beginning. 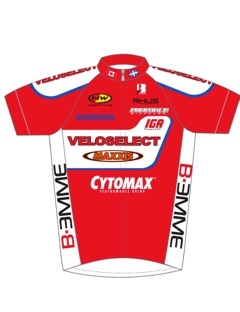 CYTOSPORT provides high performance sports products like Cytomax and Muscle Milk -- the official Sports Drink of the EQUIPE VELOSELECT CYCLING TEAM. SHIMANO CANADA supply our high quality race-winning cycling components. PROLOGUE bikes supply our fabulous official bikes and RHUS Wheels will keep us rolling in the 2013 season. NORTH WAVE SHOES is our official shoe. 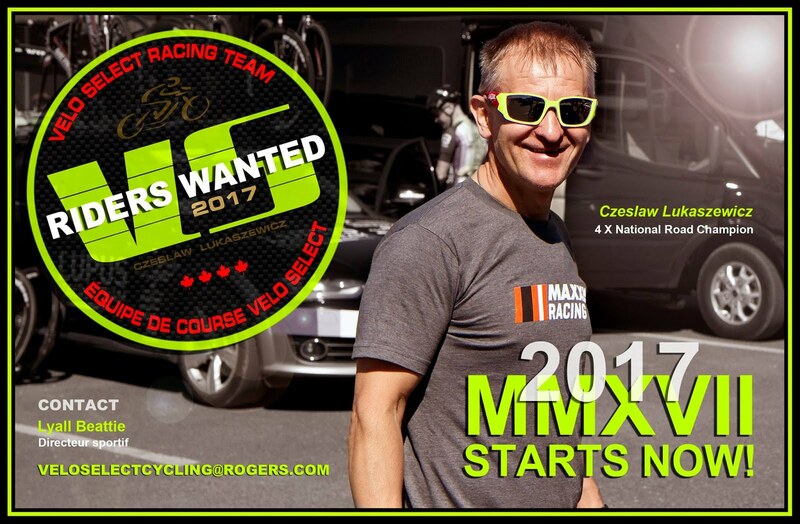 RUDY PROJECT USA will provide our Team with top of the line Sterling Helmets and Ekynox and Racing Rydon Sunglasses. 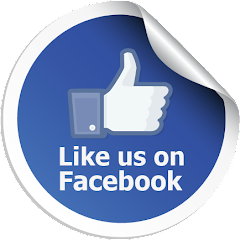 SOLE Footwear are giving us technical support and performance orthotics. KOOL'N FIT SPORT keep the teams legs competitive and fast. BIEMME North America supplies our awesome clothing. CREAM HILL Estates supply the Gluten Free Oatmeal that fuels our athletes. The Team is coached run by Czeslaw Lukaszewicz, 2000 Olympian and four time Canadian Champion, and Lyall Beattie. See you at the races in 2013! !